DALLAS INSURANCE ATTORNEY DON MARTINSON EARNS THIRD CONSECUTIVE BEST LAWYERS RECOGNITION - Fanning Harper Martinson Brandt & Kutchin, P.C. - Fanning Harper Martinson Brandt & Kutchin, P.C. Fanning Harper Martinson Brandt & Kutchin, P.C., is pleased to announce that accomplished attorney Don Martinson has earned a third consecutive selection in The Best Lawyers in America for 2016 based on his work in insurance law. 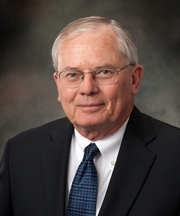 A member of the Texas Association of Defense Counsel, Mr. Martinson is a Life Fellow of the Texas Bar Foundation and a Fellow of the Dallas Bar Foundation. He is consistently recognized in the annual Texas Super Lawyers list published in Texas Monthly magazine. Best Lawyers honorees are nominated by clients, other attorneys and law firms. Following the nominations, Best Lawyers submits ballots to lawyers in the same geographical area and legal practice area, asking whether they would be inclined to refer a case to the nominees. Those receiving the highest marks are then vetted by the Best Lawyers editorial team before the final selections are determined. For more information on the Best Lawyers honors for Don Martinson and Fanning Harper Martinson Brandt & Kutchin, P.C., please contact Rhonda Reddick at 800-559-4534 or [email protected].